I'm taking a bit of a break from my blog for Thanksgiving break. Here's a rerun featuring a Sam Phillips song that remains one of my favorite songs of the decade. The new Sam Phillips album is out! Normally, I would listen to the album straight through from start to finish, but this time I had to go straight to Sister Rosetta Goes Before Us. Alison Krauss and Robert Plant covered the song on Raising Sand, and if you remember, I was pretty wild about it. So I was dying to hear the Sam Phillips rendition. It's always so interesting to hear how a writer interprets their own work. A poet, for instance, might put completely different emphasis on line breaks when reading their work outloud than I could have ever imagined in my head. Alison Krauss & Robert Plant's version of "Sister Rosetta Goes Before Us" is dreamy, introspective, eerie, polished. Sam Phillips takes a completely different approach to her own work. In comparison, it's messy, rushed, untamed...all in the best of ways. 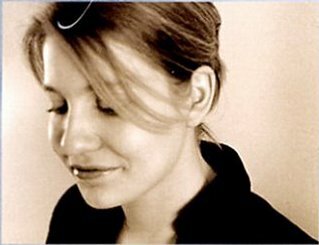 The way Alison Krauss sings the song, Sister Rosetta's music comes to the singer like a strange gift from above, supernatural, beautiful, and detached. In Sam Phillips' version, the music is a down-to-earth personal revelation, a tangible refuge, a place of abandon and release.